Users the world over have gone mobile, and the browsing interests have shifted rapidly from desktops to mobiles, leading to a booming and ever changing landscape for mobile apps. There has come a time where security features are no longer a premium but an essentiality in the contemporary settings of data privacy and user security needs, and along with user friendliness they can either be a make or break moment. Given that mobile apps have evolved to a multi-disciplinary level with powerful functionalities, it has become indispensable to maintain a secure environment for user to interact with the app confidently – with respect to data, actions performed or even communications exchanged. In fact, with both Android and iOS appstore hosting a huge collection of apps (both personal and corporate) users want a secured app for them to repose full faith on the product. 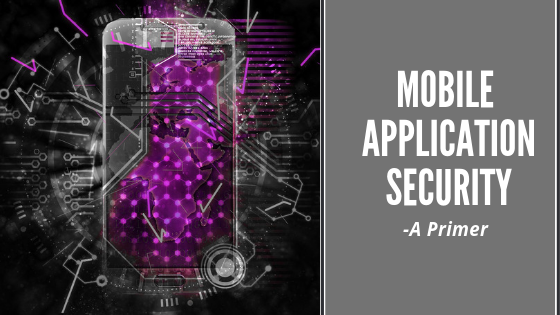 App Security is never a one point agenda, and in effect should be considered comprehensively end-to-end and evolved into an imperative guide throughout an app’s development lifecycle. This is more so because, unlike other bugs and issues related to performance, usability, navigability etc., those related to security loopholes have greater ramifications in terms of time, cost and manpower. Continued emphasis on security management is thus need of the hour. HTTPS sits as a secure layer over the unsecured HTTP (Hyper Text Transfer Protocol), thus ensuring a fool proof way of browser – server communication and data integrity is maintained through encryption, without any compromise. This is implemented through Transport Layer Security, which prevents packet-sniffing and prevents eavesdropping over publicly accessible internet networks. This ensures an end-to-end data protection mechanism. Session handling has to be properly handled and timed-out in order to prevent any untoward access to files and resources over an “unclosed” port connection. This can be handled through user profiling and management, user access restrictions and keeping a tab over data pilferage through regular network scans. According to OWASP, Weak Server side controls is one of the most under-rated but the most exploited mobile security threat. Since there are many back-end services through which a mobile app can connect to the server to retrieve data, it opens many listening ports open for attack. Same is the case with a poorly implemented API, which may lead to bad exposure. Proper scanning of the app and refactoring the code in a manner that eliminates any chance of a weaker server side control are some ways to handle such lacuna effectively. Mobile apps are going to be the way forward. Sooner or later, it is necessary to imbibe the security features in them to ensure a happy and safe customer! For any application security assistance email us at contact@appsealing.com. Posted in AppSealing News and tagged android, application, cybersecurity, Mobile Application Security, Runtime Application Self Protection.